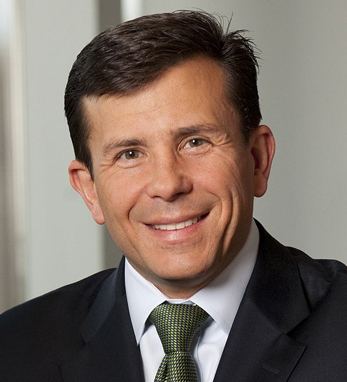 John Crowley is the chairman and CEO of Amicus Therapeutics, Inc. John’s involvement with biotechnology stems from the 1998 diagnosis of two of his children, Megan and Patrick, with Pompe disease – an often-fatal neuromuscular disorder. In his drive to find a cure for his children, he left his position at Bristol-Myers Squibb and became an entrepreneur as the co-founder, president, and CEO of Novazyme Pharmaceuticals, a biotech start-up conducting research on a new experimental treatment for Pompe disease (which he credits as ultimately saving his children’s lives). John and his family were the inspiration for the motion picture Extraordinary Measures, starring Brendan Fraser and Harrison Ford. John’s personal memoir is Chasing Miracles: The Crowley Family Journey of Strength, Hope and Joy. Earlier this year, John and his daughter Megan were honored by President Trump during the president’s first Joint Address to Congress in Washington. John has been a tireless advocate for people living with rare diseases and is widely credited for establishing the bipartisan Congressional Caucus on Rare Diseases. John, a first-generation Irish American with roots in Cork, graduated with a B.S. in foreign service from Georgetown University, and earned a J.D. from the University of Notre Dame Law School and an M.B.A. from Harvard.